Enjoy all the cuteness and some brilliant quotes about love! Check out more at the best billionaire magazine; Brilliance Life! Children are the most precious and beloved Elf On The Shelf for their parents. Alan Lawrence, a father to six children, is just the brightest example of such one. He asserts that so many children were the deliberate decision of him and his wife. Despite the challenges that come their way, Alan didn’t become irritable and frazzled as other parents. He enjoys by being a devoted and loving father. He thinks this is the God’s blessing for him. 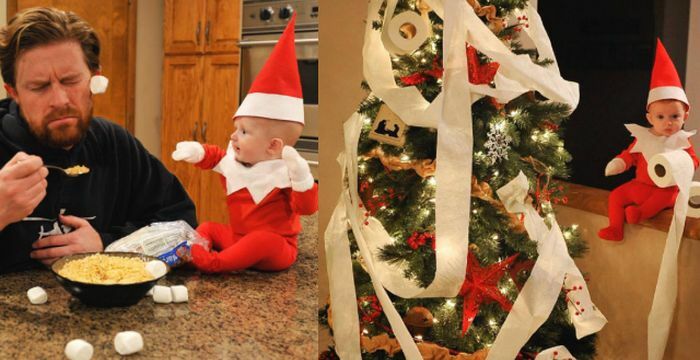 The Elf on the Shelf is one of the most adorable Christmas traditions. It is fervently loved by both children and adults. Alan is one of the fans of it. But he founds something creepy in the classic version. So he decided to make this tradition on his own way. Are there Advantages of Christmas Shopping Early? ← 11 Lottery Winners Who Got a Many Millions Jackpot!